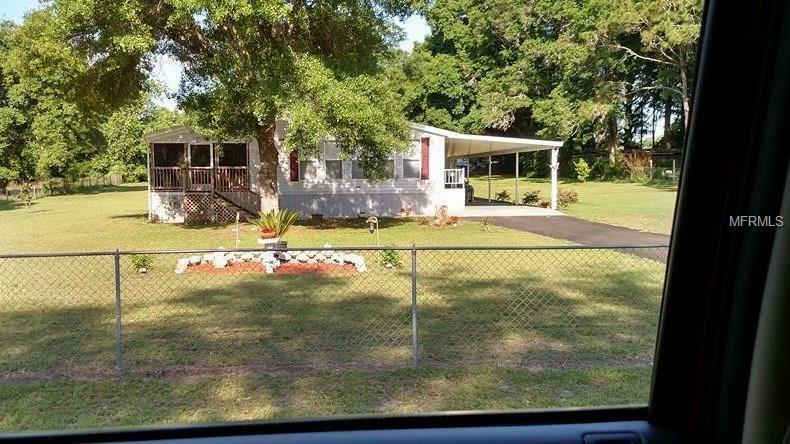 GORGEOUS TRIPLE WIDE MOBILE HOME! Are you looking for a place in the country but would still like to be close to the city? Well check out this little piece of heaven. This home has so many things that you will fall in love when you walk in. As you enter the home take note of the formal living room and dining room, then you also have the dinette kitchen and family room this open floor plan allows you to enjoy all of this space. The kitchen has a nice little breakfast bar, large closet pantry and plant shelves for decoration about the cabinets. You will love the Master suite it has a separate sitting area that you can use for your office tv room or what ever you would like. The master bath has a lovely garden tub, separate shower stall and dual sinks! You have a guest bathroom just off the laundry room and a second full bath just off the second and third bedroom. This home sits on just a bit over 1 acre of land is fenced, has a storage shed a well house and a pool. This home has been loved and cared for, Ready for the new owners and furnished for your convenience. Call me for more information on this home.